with our main premises based in Clontibret Village, Monaghan. Our Memorial Division is dedicated to helping you honour the memory of your loved one with a wide range of memorial products and services with complete customer service support. 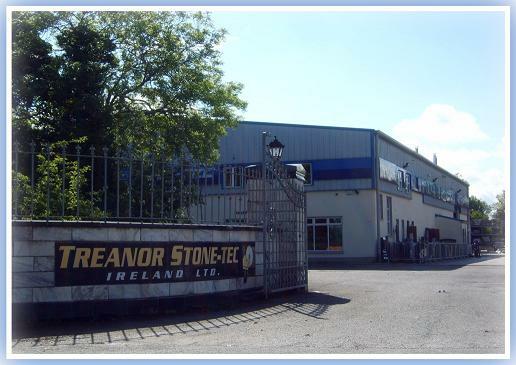 With our highly skilled craftsmen and experienced management team, Treanor Stone-Tec takes pride in the quality of our workmanship and endeavour to provide a superior quality of service to each of our valued customers. To help all our customers choose the right memorial in honour of the person they commemorate. To provide you with the finest quality memorial with exceptional value and an excellent service. To make sure your choice of memorial complies with local parish and planing regulations. To offer each and every customer our time and advise along with a complete customer service support..